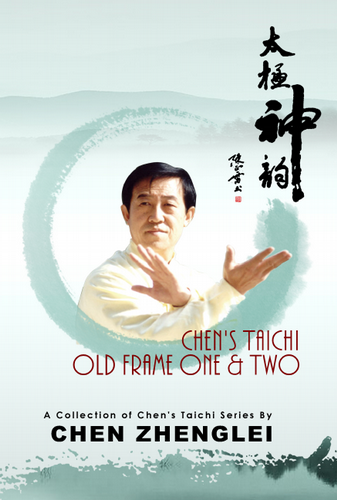 Finally the heart of Chen Zheng Lei’s five volume compendium on taijiquan has been translated. What a fine job it is. It is well translated by his Canadian / Chinese disciple Jack Yan. This is the second of the five volume set, written 20 years ago by Chen Zhenglei and now translated by Jack Yan and his team who are to be highly commended. The introduction is masterful. I cannot recommend it highly enough. It makes the effort to start at the beginning including a solid section covering taijiquan theory It offers a brief history (15 pages), brief sections on the characteristics and effectiveness of Chen Style Taijiquan. Next is a substantial section (16 pages) on body requirements (shen fa) followed by a section on training methods and steps. It includes an excellent essay on Basic Training Principles. It does not duplicates the basic elements of loosening exercises and standing exercises (zhang zhaung) which can be found in Vol. 1.) There is a section on silk reeling exercises, single and double hands as well as stepping silk reeling exercises, which are similar but not identical to those found in Volume 1. The most significant part of the book is a description with pictures of Chen Zheng Lei’s foundation form, (laojia yilu - old frame first form.) While it can be argued that this type of section has been surpassed by the several DVD’s available on this form, it does provide a substantial and useful set of notes both to someone learning the form and revising it. The volume has plenty of high quality pictures and some interesting descriptions of what the student is aiming for inside and outside their body initially, although this is linguistically the weakest point of the translation with frequent use of technical words which are not explained. The smaller third section cover the second form (laojia erlu,) commonly referred to as cannon fist (pau chui) and similar comments apply. This is a definitive work on taijiquan and it will provide the serious student with years of benefit. While I do have a few nit-picks about how the translator uses certain terms without defining them or defines them in a way that is not commonly recognised, (so it is important to read from the start to recognise what definitions are made,) never the less I wholly recommend this book to any taijiquan student.